<details> element is used for adding the additional information of the content. It will be hide or view depending on the user request. <details> tag is used to create communicating widget for user interaction. The content of a <details> element cannot be visible unless the open attribute is set. <details> tag will support Global and event attributes. <details> tag belongs to Flow content, Sectioning content, Interactive content and Palpable Content category. HTML 4 does not support <details> element. HTML 5 support <details> element. <details> tag is mentioned for the additional information to the user they can view or hide. 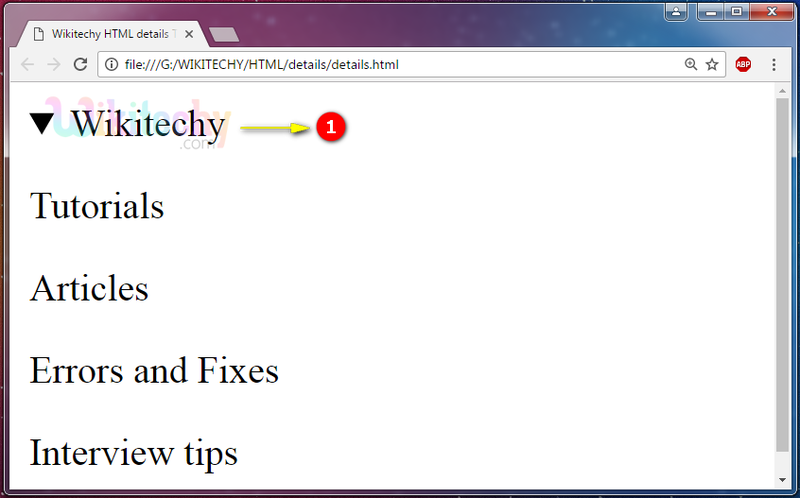 The <summary> tag specifies a visible heading (Wikitechy), which should be clicked to view or hide the details. 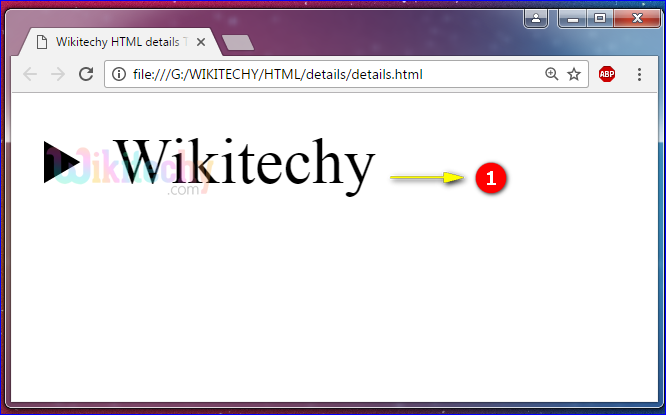 When the page loads, the content of the text (Wikitechy) has been hided. The output shows the details of the text (Wikitechy). open open No Yes Defines that the details should be visible to the user. The <summary> tag is used to define a visible heading for the details. The heading can be clicked to view or hide the details. 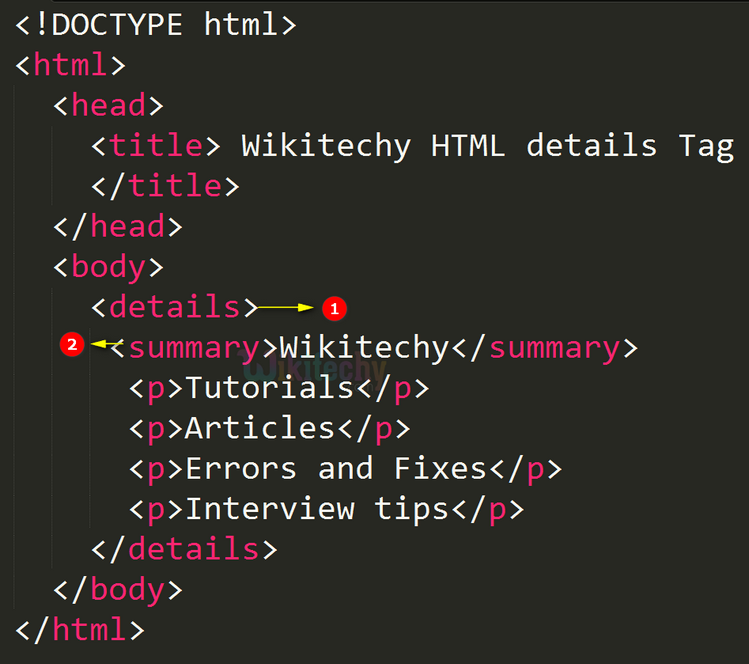 If the <summary> tag did not present, then the <details> tag automatically displays the heading as “Details”.